Earlier this year, Google and cxpartners set out to research just how fast and usable the mobile web is. The aim was simple – show best-in-class examples of the largest brands in Europe to help businesses benchmark their own usability and speed performance. To do this, Google used SimilarWeb’s data to identify the top-20 transactional sites in each country (UK, Germany, France, Netherlands, Spain, Italy and Sweden) and in each chosen vertical (retail, travel and finance). The result was that we reviewed 316 sites, collating the findings into three executive summaries: for retail, travel and finance. Individual executive summary reports highlight key findings within the retail, travel and finance verticals. The average speed rating across all verticals and all countries is either ‘poor’ or ‘critical’ according to Google’s speed benchmark. Why is site speed worth paying attention to? Well, research has shown that 48% of consumers expect page loads in under a second so the risk of consumers going to a competitor&apos;s site due to slow speeds is too high to ignore. Site speed was the slowest on average in the travel sector, the UK average site speed was 5.7 seconds. That’s a full 1.7 seconds slower than Google’s critical rating of >4secs. 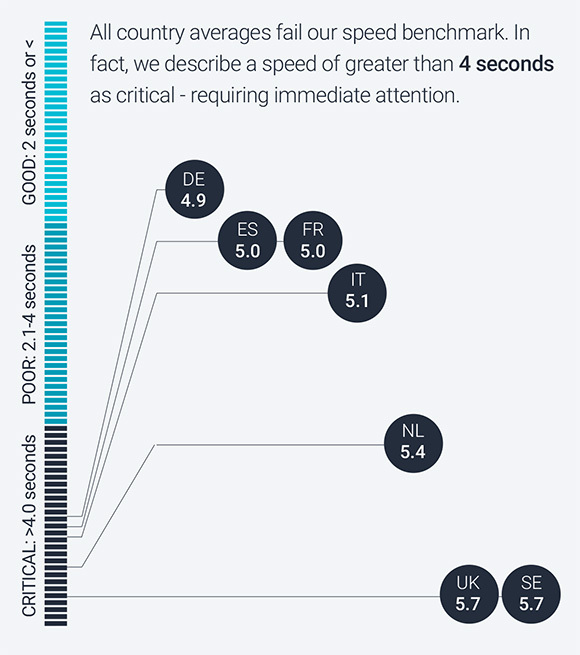 Site speed averages were deemed critical in every country, suggesting messages about the value of improving site speed haven&apos;t yet landed. In usability, UK travel sites came second to the Netherlands with an overall average of 78% with several sites, such as British Airways, scoring 100% in certain categories. Some sites passed all of the usability principles in specific categories. In this case, Heine excelled at multi-device and multi-channel use. Whilst there were some high individual scores in usability in the finance sector, the overall picture is less convincing. 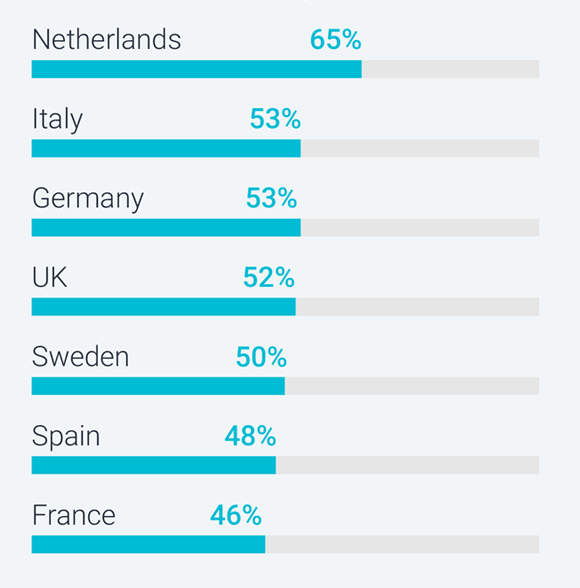 The average usability rating for most countries hovers around 50%, with the UK sitting just above this at 52%. Average % of usability principles passed by finance sites within each country. Despite this, price comparison site comparethemarket.com achieved 100% in three out of four stages in the customer journey and AA Insurance posted an impressive 86% overall usability score. This review is a perfect point for businesses to recognise the importance and the impact usability and site speed have on the customer experience. The results show that there is still plenty of room for brands to improve their mobile site experience and increase conversions. Want to know more about this research, or how site speed and usability could impact your mobile site experience and conversions? Feel free to drop Chui Chui (chuichui.tan@cxpartners.co.uk) a line. Chui Chui leads large-scale international projects for clients across the globe. She’s the author of International User Research, invited speaker at conferences around the world and UX Editor of Smashing Magazine.